ÅPEN BOWLINGDAG for barn og unge! SØNDAG 22 MAI KL 14.00 – 16.00 er det bowlingdag for barn og unge på Veitvet Bowling. Du vil få en 2-timers bowling + sko og veiledning av våre egne bowlingsinstruktørere som kan lære deg å spille bowling og kanskje gi deg noe triks. Påmelding gjøres på mail: post@odsk.no innen 19.Mai. * Gratis deltagelse gjelder KUN for medlemmer i klubben , mens ikke-medlemmer må betale 50 kroner i deltakeravgift. Inkluderingskonferanse hos Oslo Idrettskrets (OIK). OIK ga tilskudd på 35.000 kr til Oslo Døves SK der pengene er øremerket til barne- og ungdomsaktiviteter for 2016. Gledelig nytt! Her blir det tatt opp saker om klubbutvikling, kommunikasjon og erfaringsutveksling. Interested in learning about the best camping tents 2019 to help you locate the perfect model for your next adventure? In this article, we provide you with an in-depth look at the top-rated Family Camping Tent Models currently available on the market. With high ratings and durable designs, you are sure to love any or all of them; the key is to find one that will best suit your camping and family needs. The Lightspeed Ample 6 tent is a spacious quick-pitch tent that comfortably fits 6 campers. Since the tent poles are already built into the tent fabric, assembly and setup are quick and easy for a camper with any level of the camping experience. The large front door makes for easy access into and out of the tent and the model also features an extended awning which helps protect campers from the harsh sun rays or from afternoon showers. I have to say they are Best Camping Tents on the market in 2019. There is also a separate and detachable rainfly that can offer superior protection from inclement weather and ensures the campers stay dry and comfortable during rainstorms. The extra-large windows provide for ample ventilation and the storage pockets are great for campers who bring a lot of gear. This tent is an excellent choice for large families as it comfortably sleeps, 9 people. Another fantastic feature of this model not found in most other Family Camping Tents: a divider curtain that allows the campers to create two separate rooms to increase privacy and comfort. With a lot of people comes to a lot of bags and gear. This tent accommodates a large number of bags and goods since it includes two gear lofts and two hanging pockets for quick and easy access to items you will use a lot. On top of it all, set up and tear down is quick and easy, taking the stress out of tent construction. If you are looking for maximum space for your family of 4 or 5, the Eureka! Copper Canyon 10 Camping Tent is the perfect option. Unlike many other tents currently available on the market, this model is designed with vertical walls to maximize every inch. It also boasts a 7-foot-high center which is great for taller campers leaving them plenty of room to comfortably stand up. There are large, zippered mesh windows that can open for visibility and create four-way airflow or simply close them for privacy and during inclement weather. There is a clear skylight in the rainfly which makes for great stargazing on clear summer nights, and the brims over the front and rear windows help to protect against elements. Surprisingly, this tent also contains a port that allows for an extension cord to be run into the tent to conveniently plug in electronics, heaters, or lamps. A hanging gear-loft supplies convenient storage for gear and goodies keeping it away and off the floor maximizing the space usage. This tent makes an all-around great choice for smaller families on their annual family camping trips. Here is the list about Camping Tents 2019 I can give you for free. During our search for the top Family Camping Tents For Sale, we wanted tents that would suit new campers and avid campers alike. Our criteria were that the tent was easy to set up and take down, that it provided a dry and comfortable place for campers to sleep and rest, and that it came with features that increased the pleasure and convenience of the campers. The Lightspeed Ample 6, the Wenzel Great Basin Two-Room Family Dome tent, and the Copper Canyon 10 tent all meet and exceed these criteria making any one of them a great option for your next camping expedition. Som mediaansvarlig har du ansvaret for hjemmesiden til ODSK og på sosiale medier som instagram, twitter og facebook. Du bør derfor ha god kjennskap til web og sosiale medier. ODSKs formål er å øke interessen rundt klubben, og få medlemmene til å føle seg mer oppdaterte og inkludert i klubbmiljøet. Med dette er det også et ønske om å ha mediadekning på våre egne arrangementer som alt fra Døvemesterskap (DM) , fotballskole, åpne arrangementdager og masse annet. 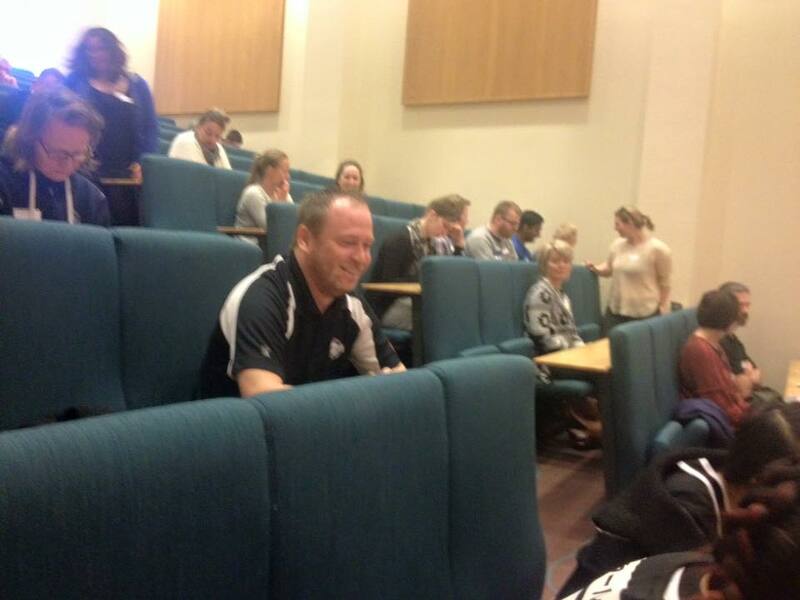 Dette er frivillig arbeid, men man vil få et honorar for innsatsen. 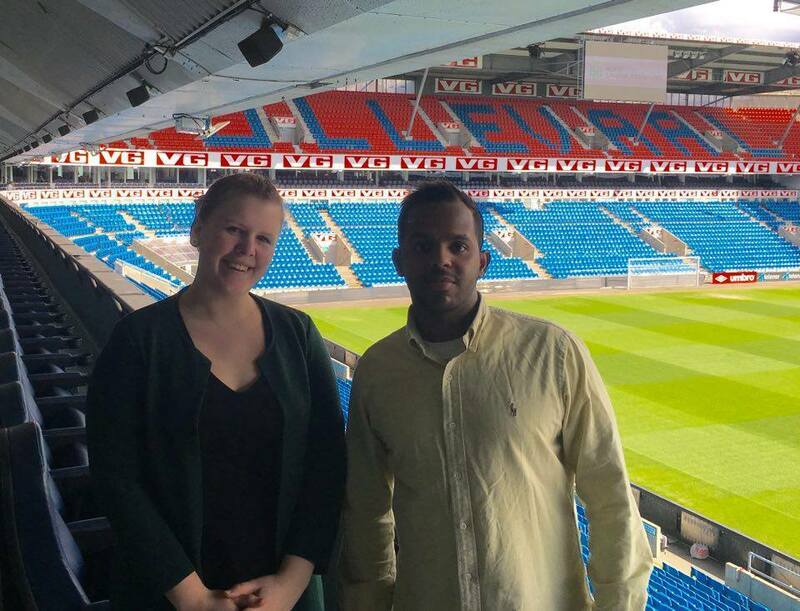 Våre grenledere i fotball, Johanna Asprusten og Mahammad Yusuf deltar denne helgen på NFF Døveutvalgets fotballseminar. Her tar de opp ulike saker som reglement i døvemesterskap, gjennomgang av håndbok for DU, klubber og landslag, og handlingsplanen i NFF for 2016- 2019 og inkludering.